The winery is situated at the eastern side of the island by the sea, at the location Vrahies between Kamari and Monolithos, near the airport. It is more than ten years since the old tomato factory –a stone industrial building in Exo Gonia– was converted into an impressive contemporary winery. It is here that Giannis Paraskevopoulos, a contemporary wine maker with his own perspective, brought out in 1994 the first Thalassitis wine, which at that time stirred up the waters of Greek winery. Moreover, here is produced a sweet vinegar coming exclusively from the assyrtiko grape variety, which ages in French oak barrels for at least five years. 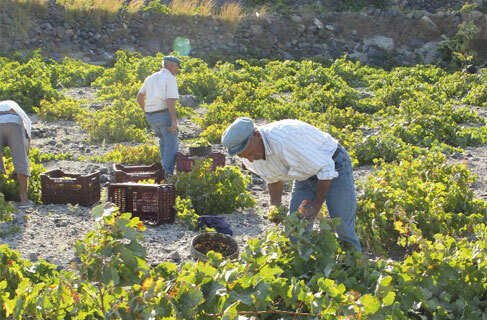 From this year, the Gaia Winemakers winery in Santorini is visitable. Daily 11.00-19.00, Exo Gonia, tel. +30 22860 34186.